…about the interdisciplinarity in finding case-specific approaches for audiovisual representations of time-based vectors on an oscilloscope. Jerobeam Fenderson is a sound artist and electronic technician, based in Austria. 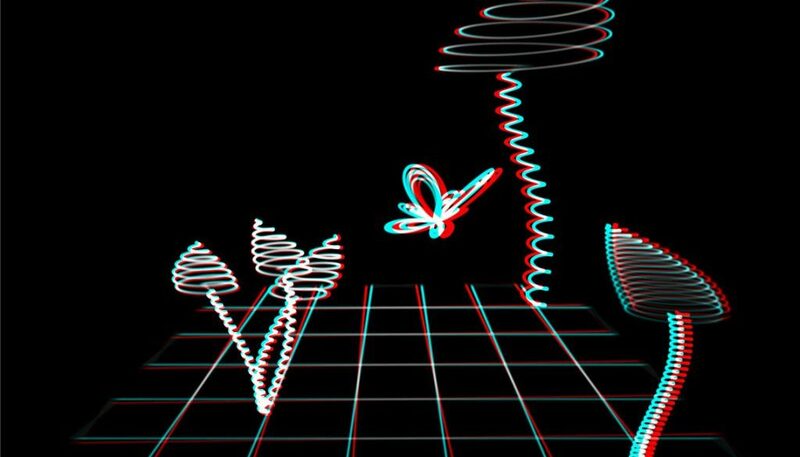 His Oscilloscope Music project is an audiovisual experience, where images are drawn with sound. Waveforms are fed simulataneously into a set of stereo speakers and the X/Y-inputs of an oscilloscope. The identical signal is observed by both listening and looking at it. The process of creating sounds that look good rules out most conventional methods of synthesis and mixing, but at the same time opens up a mesmerizing dimension of synesthetic geometry.